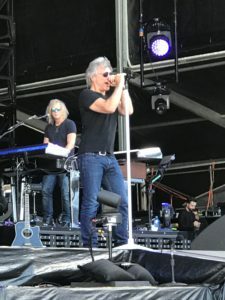 With over 100 million albums sold over 35 years and having performed more than 2,700 energetic live performances in over 50 countries for more than 34 million fans, Bon Jovi is one of the bestselling rock bands in the world. As a long-time fan of the music and the people behind it, I was fortunate enough to attend a rare series of exclusive fan events in Sydney on a balmy December weekend last year during the band’s most recent tour. Reflecting since, this had me thinking… how have they managed to keep reaping the rewards from generations of fans, and consistently filling 50,000 seat stadiums worldwide? What is it about these larger-than-life rockstars that creates such immense loyalty from their fan base? With several levels of ‘fan experiences’ available, mega stars often focus on the highly engaged superfans who drive word of mouth. 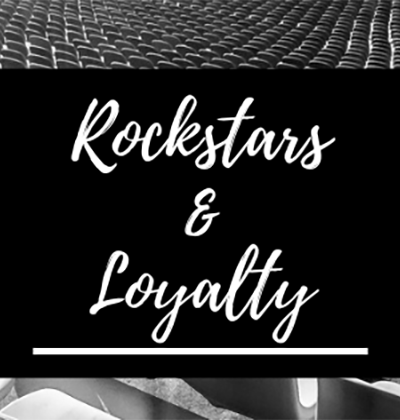 Despite their millions of concert attendees and followers on social media, Bon Jovi make sure to place a special focus on the die-hard fans that make up a small but valuable part of their customer base. It’s these fans who evangelise and bring new fans into the circle. This is where it gets interesting. As the highest level of fan experience, the December event was one of their ‘Runaway Tours’. These events are run in many cities during their world tours. The name resonates with these fans as it comes from the band’s very first hit ‘Runaway’ back in 1983, just before they reached stratospheric stardom. As well as premium front seats at the concert, the experience included an afternoon exclusive Q&A with the band where they gave their time generously and answered our questions with no filter. It was a privilege to interact with the real people and see behind the superstar showmen of the stage. The afternoon felt genuine and personal. The following day the group of superfans watched the sound check – something we later found out was unnecessary for them, but done for us, as promised. A long-lasting result of this weekend was the new friendships that were formed amongst a group of people who share the same interests. Members of the group created their own closed Facebook page and refer to themselves as ‘Runaways’. This shared identity creates a strong sense of belonging which strengthens their loyalty, as they continue to share news and stories amongst the group. Connecting your most loyal fans strengthens their bonds with each other and with your brand. 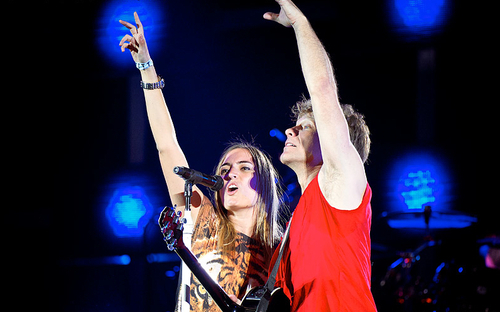 Jon Bon Jovi, the band’s charismatic front man will often lift one fan from the audience up on stage and sing together. This fan is on the big screen, facing a stadium full of people. Celebrate your loyal fans and put them in the spotlight. Make them feel special, and they will reward you with their loyalty and proudly tell their friends. 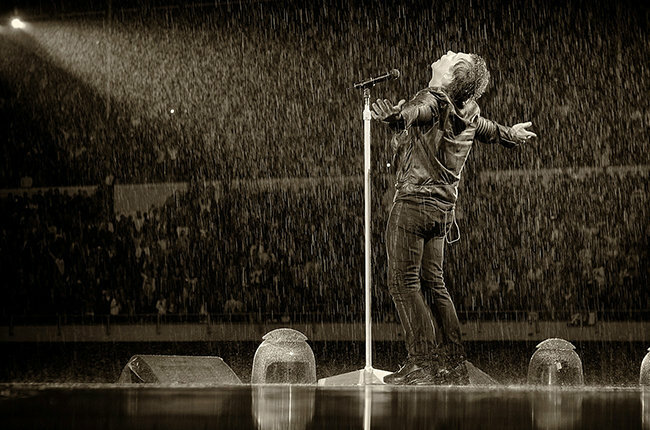 For 35 years, Bon Jovi has consistently focused on two things – the music, and their live performances. Their core promise is to keep creating music that is true to them, and to deliver the best live shows for their audience. While their brand has evolved, they have never tried to be everything to everyone. Instead, they stay true to their key audience. They will put on their best performance no matter what the weather, or indeed how under the weather they may be. Furthermore, the shows are not a copy/paste. As we found out during our exclusive Q&A, set lists are decided upon depending on the country or city they are in, and can often change during the show as they keep an eye on how the audience is receiving it. They are true marketers! Observing, listening to their customers, and adjusting the service accordingly. This ensures that they consistently keep their promise no matter where in the world a tour takes them. Your core promise does not need to be elaborate. But it must be genuine, believable, and must be kept every single time. Bon Jovi’s music tells a story in an authentic way often with vulnerability. To the whole band, family comes first. 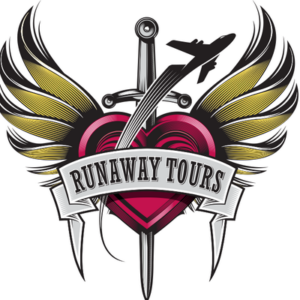 The Runaway Tours are headed up by Jon Bon Jovi’s brother while the wider event team includes family, lifelong friends and business associates. They believe in long term relationships – it was really like we were surrounded by their extended family! A philanthropist, Jon and his wife of 30 years founded and run JBJ Soul Foundation, a charity which actively breaks the cycle of poverty via a unique and exciting business model. They are both from humble working-class beginnings, so they strongly believe in giving back in a sustainable way, giving people their dignity, and a sense of belonging. Customers feel a deep emotional connection when they are aligned with a brand’s values, so it’s no surprise that this fan base is strong and has grown over time. When you truthfully lead with your values and the causes you care about, customers will reward you with their loyalty. What can we do for them that is special, that they will value? How can we connect our biggest fans to each other with a common interest that also aligns with us and our brand? What is our core promise? What is it that we deliver every single time? What are our core values? Identifying these will help us better understand and align with our ideal clients and their values, and therefore create more super-fans. We’d love to continue this conversation with you regarding your own brand. Sydney, 2018. A fine moment indeed. Super Cool Joanne. My partner Vanessa still has a hand made t-shirt she made back in the 80’s – she would have loved this. Great story and nice link back into marketing. Good one Joanne. Resonates. Love a true story with a message. This was a really enjoyable piece Joanne, about how sometimes the most value generating activities link right back to the heart of the initial proposition, and the literal heart of the clients. Thanks for sharing!